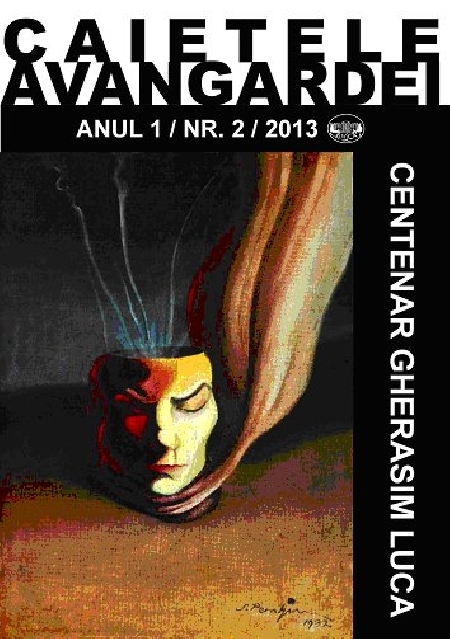 The Romanian avant-garde has, beginning with 2013, a new scientific review: Caietele Avangardei, initiated by Ion Pop, the senior researcher of the avant-garde in Romania, assisted in this initiative by Lucian Chișu, director of the Romanian National Literary Museum as editor and Ioan Cristescu as manager editor. After a first issue containing articles about various aspects of the Romanian and international avant-garde (its reviews, its currents, its major authors like Geo Bogza, Gellu Naum, Jules Perahim or D. Trost) launched in May 2013, its second issue is dedicated in its totality to the works and biography of Gherasim Luca – a special issue celebrating 100 years from the birth of the author. Well-known scholars of Romanian surrealism like Ion Pop, Petre Răileanu and Ovidiu Morar discuss Luca’s works, focusing on its links to surrealist thought. Dan Stanciu, Sebastian Reichmann, Valery Oisteanu, themselves authors of surrealist poetry, contribute to the personal dimension of the involvement with Luca’s works, while Paul Cernat, Michael Finkenthal, Andrei Oișteanu, authors of different books on modernism and the avant-garde, develop a larger contextualization of the phenomenon called Gherasim Luca. The French connections of Luca are signalled within the issue by authors like Michel Deguy, Sibylle Orlandi and Charlène Clonts, and an essential contribution to the philology on Luca is achieved by Mona Țepeneag and Mădălina Lascu, both of them presenting and even publishing Luca’s correspondence with friends like Victor Brauner or André Breton – so far known only partially from volumes like Victor Brauner: Écrits et correspondances 1938–1948, or from the auction catalogues of the André Breton archives. This correspondence is very important to document Luca’s and D. Trost’s attitude towards surrealism, Romanian stalinist politics and the disputes between Paris-based surrealists during the late 1940s and early 1950s. Indeed, even if Iulian Toma’s and Petre Răileanu’s monographs relied intensely on this archival material, many of its nuances can be seen only after this extensive effort of its (bilingual, French-Romanian) publication. It is striking though to see how the authors of the articles tend to repeat the same, exhaustive patterns of interpretation, which means nothing more and nothing less that indeed they feel that Luca’s presence in Romanian literary history and literary conscience is, at least for the moment, unsatisfactory. Elements of Luca’s biography, or the evolution of the Bucharest surrealist group are retold several times, while the more theoretical approaches tend to situate themselves within the interpretative framework initiated and developed by authors like Dominique Carlat or Iulian Toma, largely based among other theoretical texts on Gilles Deleuze’s and Félix Guattari’s interpretations of Anti-Oedipus. The discovery and the upcoming edition of The Passive Vampire’s Romanian manuscript offers, however, interesting interpretative opportunities to Petre Răileanu for the discussion of Luca’s relationship to Romanian culture and language. The interpretation of late French (written or recorded) texts of Luca is also of great interest in the context of this issue, convincingly carried out by Sibylle Orlandi. We can conclude that the Romanian dimension of Luca’s oeuvre is indeed well-represented in this special issue, which might contribute essentially to the notoriety of the author within the Romanian context. As Mădălina Lascu points out, however, editions and reeditions of Luca’s works are still needed to fully achieve this goal, and Luca’s archives in the Bibliothèque Jacques Doucet might still hold interesting unpublished material concerning the artist’s spiritual and intellectual networks. The New York-based review Hyperion edited by Rainer J. Hanshe with the background of Contra Mundum Press presents Gherasim Luca’s works in a recent special issue of 158 pages. Contra Mundum Press published in 2012 the English translation of La proie s’ombre in Mary Ann Caws’ translation, with the title Self-Shadowing Prey. Just a few years before, Inventor of Love and Other Writings appeared at Black Widow Press, Boston in 2009, translated by Julian and Laura Semilian. One year before, in 2008, Krzysztof Fijalkowski published an English translation of The Passive Vampire at Twisted Spoon Press, Prague. We can conclude that there is an increasing interest in Luca’s work within the English-speaking world during the past decade, and Hyperion’s special issue shows also that people interested in these texts can easily find each other and create a network of knowledge and appreciation around the author: in fact, all of the above mentioned translators are present in this special issue with texts concerning their own translations and also other, broader topics, of course. While Mary Ann Caws, Julian and Laura Semilian tend to discuss the difficulties they encountered while translating Luca’s very specific puns and allusions, Krzysztof Fijalkowski offers a landmark interpretation of Luca’s plastic art – including the surrealist objects created by Luca and reproduced in The Passive Vampire, but also samples of cubomania and collage that are essential for Luca’s strictly surrealist period, but to some extent also for the late Luca. Just like Caietele Avangardei, Hyperion also publishes Valery Oisteanu’s text on Luca, The Zen of Death and Immortality (this time in the English original), includes the analysis of Petre Răileanu about the Inventor of Love (in French and in English), Jon Graham’s essay on the connection of Luca’s works and the ghost stories / ghostly presence, Allan Graubard’s subjective efforts to construct and represent a possible voice of Luca, and also an exchange of messages (Luca-style) between Graubard and Andrei Codrescu. In a theoretical approach, John Galbraith Simmons contextualizes works like The Inventor of Love and The Passive Vampire within European psychoanalitic discourse of the time and also within a more or less accurate historical-political context of interwar Romania; John Taylor insists on a more „textual” interpretation of the same texts, while Will Alexander discusses the same texts again, commenting on Luca’s relation to the issue of death and, more generally, to postwar surrealism. The centenary issue publishes an interesting selection of Luca’s visual and textual work called The Orgies of Quanta, and also a new translation of the collective text of the Bucharest surrealists, Eloge de Malombra, cerne de l’amour absolu. Rainer J. Hanshe’s translation, entitled In Praise of Malombra, Shadows of Absolute Love, is, to my knowledge, the third English version of the text, after Eulogy to Malombra: a Representation of Absolute Love (transl. Monica Voiculescu, Plural Magazine, 3/1999, pp. 85–87, http://www.icr.ro/files/items/12644_1_Writings_various%20critics.pdf), and Paul Hammond’s version from his anthology The Shadow & Its Shadow: Surrealist Writings on the Cinema (City Lights Books, San Francisco, 2000. pp. 117–120) – Malombra, aura of absolute love. Focusing on Luca’s works that have already been translated into English, Hyperion succeeds in promoting Luca’s ideas because The Inventor of Love and The Passive Vampire are texts of the author that come closest to Breton’s surrealist prose, already well-known for the English-speaking public. While linked to Breton’s ideas during the 1940s, Luca remains an author who developed a mythology of his own, and also a wide range of techniques that are original contributions to avant-garde art – not only in the field of literature but also in performative poetry, in graphic art and also in the creation of objects and the theories related to them. 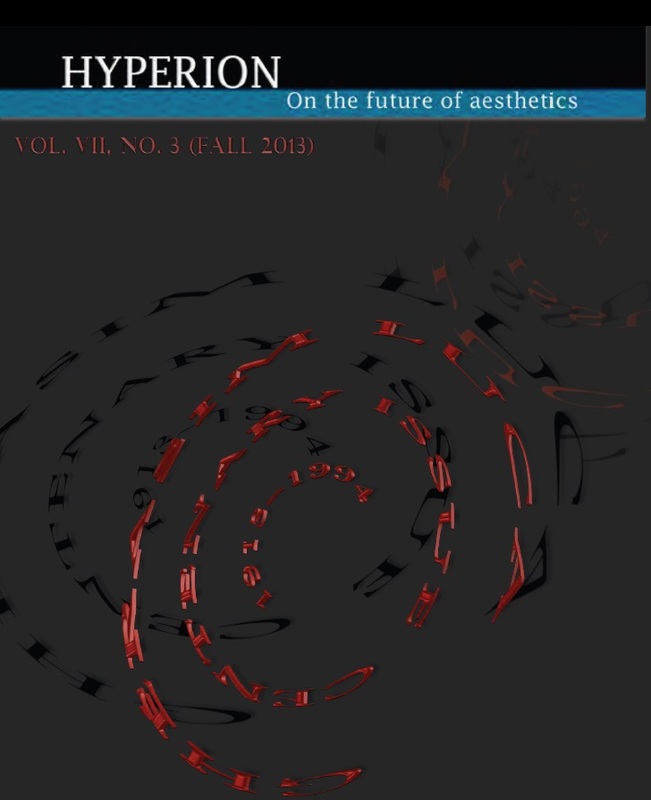 The Hyperion Issue dedicated to Gherasim Luca, published by Contra Mundum press and available online, is guest edited by Allan Graubard in collaboration with the publisher.